Simply put, oils are not the wonder food they've been made out to be. They're heavily processed and damaged products that have had everything good about them removed and everything harmful about them concentrated. In this article we'll discuss why oils shouldn't play a role in your diet, and why the label "raw" is no saving grace in this circumstance. Is Raw Olive Oil Better Than Heated? Scientists have known for some time that cooked vegetable oils are carcinogenic (1) (2), but using the 'unheated food is always healthy' fallacy, raw foodists and those seeking a better alternative for their salads have turned to raw olive oil and other raw vegetable oils. While it's true that these are likely to be less harmful than the heated alternative, this is a far cry from saying that they're healthy. This is because vegetable oils, heated or raw, are foods that has been torn asunder by their processing. The whole foods they came from are long gone, and the combination of an entirely fat-based food, the lack of fiber, the high calorie load, and the lack of vitamins and minerals make it a poor choice for anyone. Want the best way to sabotage your weight loss goals? Start adding a bit of raw olive oil to your salads. 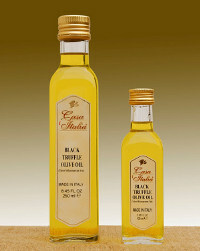 The Average American consumes 60 grams of added fat from oils, or an incredible 500 calories a day (3). If they simply stopped eating oil of all types, they'd lose one pound of fat a week. Raw Olive Oil and other oils go straight to your gut for several reasons. While most whole foods -even fatty ones like avocados, nuts, and seeds - contain a lot of calories, oil is 100 percent fat because its had all of its carbohydrates and protein removed, along with the valuable fiber, minerals, and vitamins it once possessed. Fat has nine calories per gram compared to four for protein and carbohydrates, so in just a small tablespoon oils packs in an incredible 119 calories. At 4,020 calories per pound, oil beats out even butter, which has only 3,200 per pound. I don't know about you, but when I was really unhealthy I used to eat oil-based dressings on my salads. That is to say, I mostly ate dressings and very little salad. I never once added just a tablespoon. Six would have been my minimum on any given salad. What I ended up with was perhaps 100 to 200 calories of low fat, low calorie, high-nutrient plants foods and 4-8 hundred calories of nutrient free, high fat, high calorie processed oils. I might of thought of that salad as healthy, but I was kidding myself. 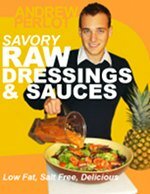 If you want to know how to make satisfying salads without the oil, check out "Savory Raw Dressings and Sauces," which uses only tasty, low-fat fruits, vegetables, and herbs." But What About Mediterranean Diets? The usual justification for raw olive oil consumption is that Mediterranean cultures have had a high intake of the stuff for thousands of years. Because they've traditionally been healthy, olive oil has been seen as a healthy food we should embrace. This doesn't quite pan out. The fact is that Mediterranean cultures used to be much healthier than we are, being both thinner and less likely to die of cancer, heart disease, or develop preventable and reversible diseases of affluence like type two diabetes. They're not anymore. The people of the island of Crete ate plenty of olive oil in the 1950s and were very healthy, but most of their other food intake was whole plant foods like fruits and vegetables. A small part of their diet was fish, but they ate little other meat, eggs, or dairy. They also did tons of manual labor to burn off all that oil they were eating, wrestling plows through their rocky soil and walking an average of 9 miles a day. Today, Cretans still guzzle olive oil, but their diets have otherwise become like the average American. They eat lots of meat, dairy, eggs, and processed food, but little low-fat plant food. They're also now mostly sedentary, just like us, and no longer burn off the calories consumed from that extra oil. Unsurprisingly, modern cretans are fat like us and their incidence of cancer, heart disease, and diabetes has skyrocketed (4, 5). In other words, it would appear that they were previously healthy despite of their olive oil intake, not because of it. Mediterranean diets are heavily promoted today, but even the most ardent supporters in the medical community admit that they only makes sense if you're already thin and healthy, which most people are not (6). There's nothing wrong with fat; we'd die without it. But it's critical that we're eating it in the right amounts and in the right form. One of the bigger threats to our health is that we eat the wrong type of fat. Ideal health is achieved when we have an relatively equal balance of omega 3 and omega 6 fats in our diet. Unfortunately, our high intake of raw olive oil and other oils, along with animal products and processed foods, skyrockets our omega 6 intake. A healthy low fat raw food diet easily achieve the low and relatively equal omega 3 and 6 balance enjoyed by hunter gatherer groups and our nearest genetic relatives, bonobos and chimps. Read more about how to achieve this balance here. The longest lived people on earth, the Okinawans, consume just 6 percent of their calories from fat. A big part of that is their low-fat plant-based diet and extremely low intake of animal foods (less than 2 percent of their calorie intake), but oil consumption averages less than a teaspoon a day, which plays a big part in keeping their fat intake low(7). The average American, by comparison consumes 30 to 45 percent of their calories from fat. The high blood sugar problems many Americans experience, such as diabetes, are the result. Simply put, if you're eating much olive oil, your fat consumption is too high for optimal blood sugar levels. If you're dubious, I urge you to check your readings with a glucometer and see the difference a healthy low fat raw food diet can make. If you want to eat healthy raw overt fats, stick to nuts, seeds, and avocadoes. Learn how to eat a optimal raw food diet. Figure out how raw olive oil fits in among the foods you should eat and avoid. 2) 495s; Warner, K. 1999. Impact of high-temperature food processing on fats and oils. Adv. Exp. Med. Biol. 459: 67-77. 5) Kafatos A, Diacatou A, Voukik G, et al. Heart disease risk factor status and dietary changes in the Cretan population over the past 30 years: the Seven Countries Study. Am J Clin Nutr. 1997;65(6):1882–86. 6) Katan MB, Grundy SM, Willett WC. Should a low-fat, high-carbohydrate diet be recommended for everyone? Beyond low-fat diets. N Eng J Med. 1997;337(8):563–67.